PHM has a new online tool available! 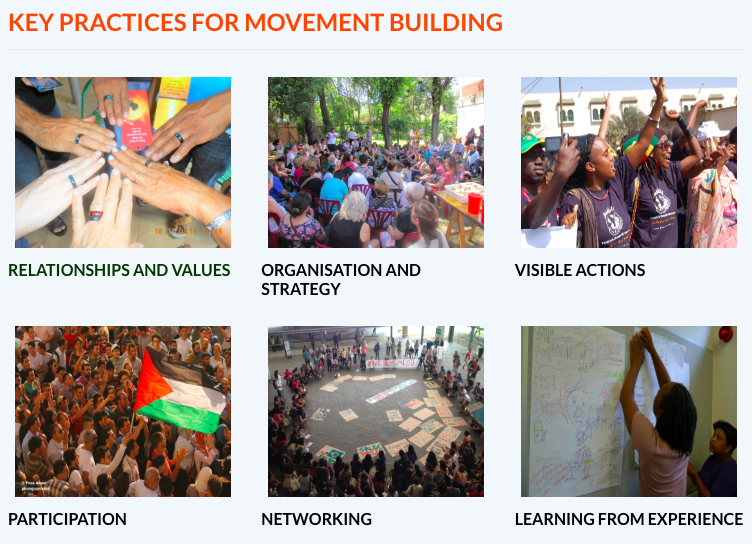 An interactive guide to key practices for movement building collected from social movements across the globe engaged in the struggle for health. The struggle for health and social justice has a long and proud history that has been driven by diverse social movements involving many individuals and organizations in different contexts. Today, the active role of organized civil society is more necessary than ever. To contribute to the knowledge and practice of building social movements for health, PHM developed a tool for movement building, a book called Building a Movement for Health. To develop this book, friends from across the globe worked together to gather and share stories from social movements and to identify key practices of how these movements came to be and how they have sustained themselves in the struggle for health. submit a case study to share your own experience. This interactive material is intended to be an aid in the struggle for health equity, to support movement-building at the country level, and to contribute to the creation and strengthening of a global movement for health. And we hope that it will continue to grow and develop as more people share their stories and experiences!